To state the obvious, conception can be challenging, and there are numerous factors that impact conceiving and growing a healthy baby. The food you eat does play a role though. So, we turned to registered dietitian and fertility specialist, Tracy Lockwood Beckerman, for her favorite recipes that are packed with foods to help increase your fertility, and optimize your chances for a healthy pregnancy. 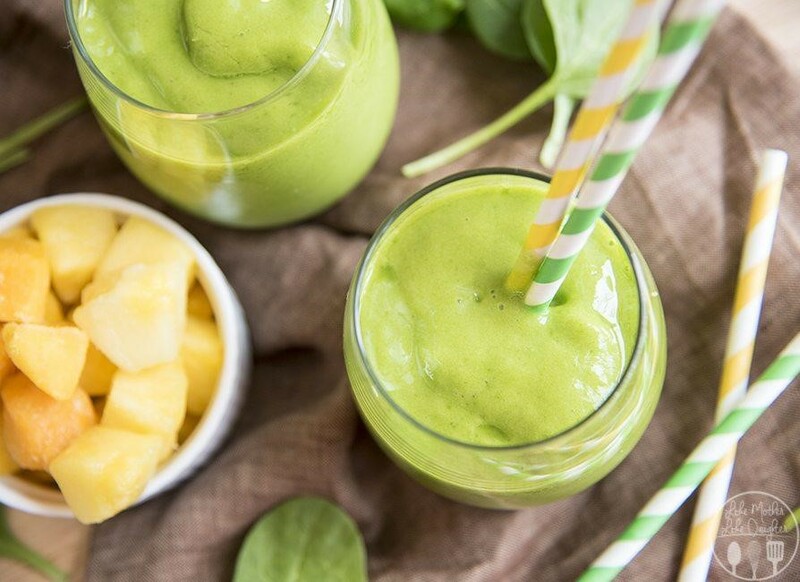 This tropical smoothie is packed with flavor, and has iron coming from the spinach. It’s important to load up on iron rich foods (like spinach and kale) because because low iron is associated with a decrease in fertility. When women have an adequate iron intake, there is a lower risk of ovulatory infertility. This smoothie is also rich in folate, which helps decrease the risk of neural tube defects in the fetus. GET THE RECIPE. 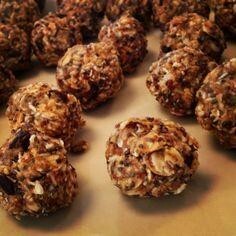 These energy balls are packed with omega 3’s, which may increase fertility by regulating hormones in the body, promoting ovulation. Omega 3’s may also increase blood flow to the reproductive organs, which may improve the overall quality of the uterus. The cacao nibs will satisfy your sweet tooth, while giving you a boost of flavonoids — a powerful antioxidant that causes our brain to release serotonin which may help elevate your mood! GET THE RECIPE. This muffin recipe is loaded with folate and folic acid (the synthetic form of folate, which is almost twice as well absorbed by the body as folate). These nutrients are critical when it comes to fertility, as they help to prevent birth defects. In addition, they may help improve sperm count for men, making these muffins a great chance for any couple trying to conceive. 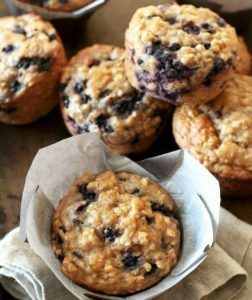 To top it off, the blueberries in the muffins are rich in antioxidants so they protect against cell damage and cell aging, including your reproductive cells. GET THE RECIPE. 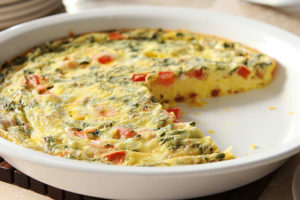 This delicious egg frittata is packed with vitamin D from the eggs and the fortified milk, in addition to fertility friendly iron. Low vitamin D levels could be associated with decreased fertility. While vitamin D is also obtained through daily sun exposure, this can be challenging in winter months, and of course sun exposure comes with other side effects, so it’s important to get it in your diet as well. GET THE RECIPE. 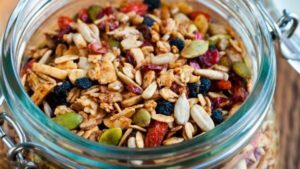 The walnuts in this trail mix are a great source fertility friendly omega 3’s. In addition, the pumpkin seeds are rich in zinc, which is known to help increase fertility in both females and males. The dark chocolate and dried fruit provide sweetness and flavor to make this a delicious and fertility friendly snack. GET THE RECIPE. Tracy is a registered dietitian-nutritionist and fertility specialist in New York City. She has her own private practice, Tracy Lockwood Beckerman Nutrition and specializes in weight management, women’s health, pre-conception nutrition, pre and post natal, and pediatrics. She received her Bachelor’s Degree in Nutritional Sciences from the University of Wisconsin-Madison and received her Master’s Degree in Clinical Nutrition from New York University. Tracy is the nutrition advisor to preconception nutrition company, FertileGirl. Tracy loves going food shopping with her clients and helping them sift through the best and latest food products. She has been quoted in numerous publications such as Well + Good, Huffington Post, Fox, Shape, Women’s Health, and SoulCycle. Follow her nutrition career on Instagram via @thehappiestnutritionist.